Architect: Foggo & Thomas/Stout& Litchfield. 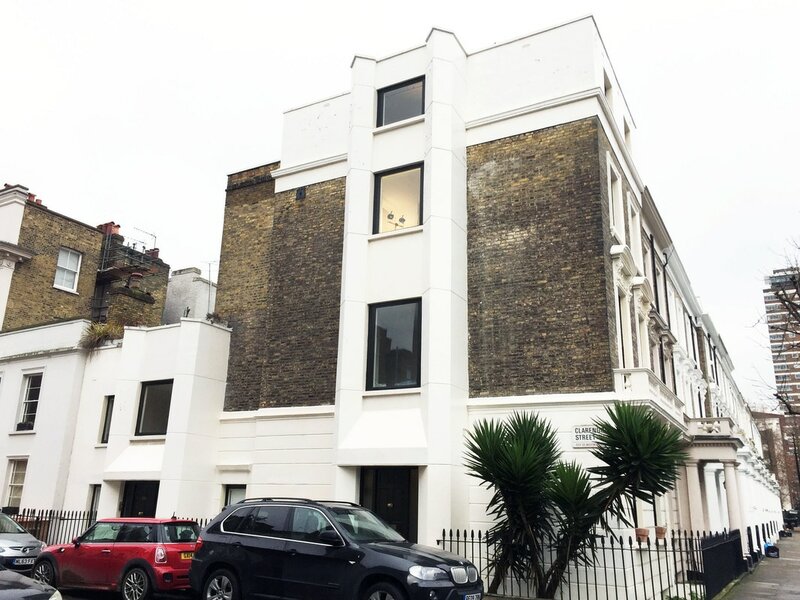 Notes: Two close by post war houses in a Pimlico neighbourhood. 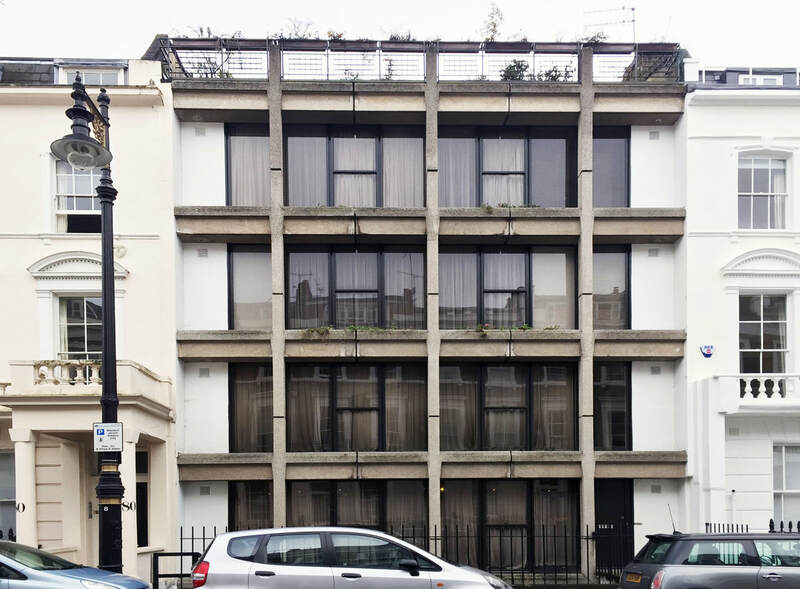 76-78 Cambridge Street (top) consists of 2 maisonettes and 2 flats, framed by an external concrete grid. 50 & 50a Winchester Street (bottom) is a conversion by Stout & Litchfield of an existing terraced house converting it into two maisonettes.